In 2018, the National Statistical Institute has successfully continued to pursue its policy of strengthening regional cooperation. Integration of the Western Balkans was one of the priorities of the Bulgarian Presidency of the Council of the EU. 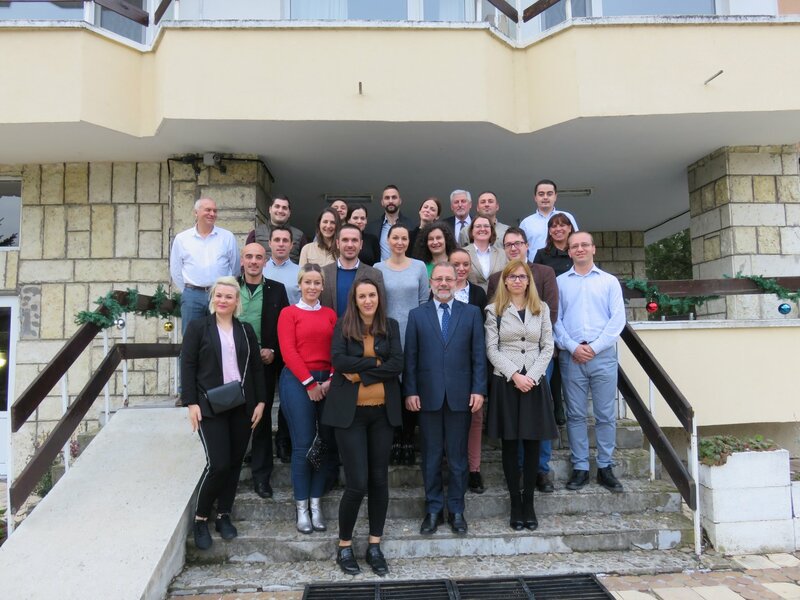 In the period 10 - 14 December, the National Statistical Institute hosted the training of 21 young statisticians from the Western Balkan countries - Albania, Bosnia and Herzegovina, Kosovo, the Former Yugoslav Republic of Macedonia, Serbia and Montenegro. Young statisticians from Bulgaria participated for the first time in course. 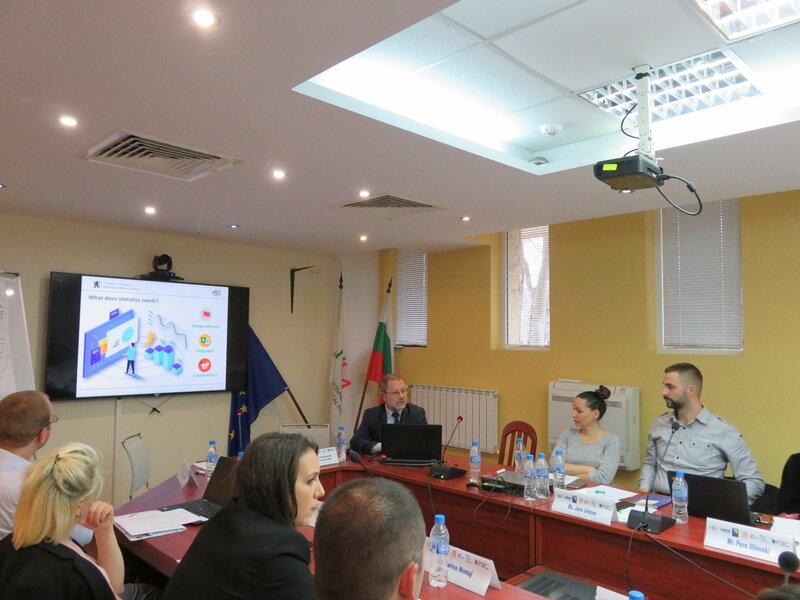 The course entitled “Introduction to theory and organization of statistical surveys” hold at the Training and Qualification Centre in Slivek, Lovech Region was realized in the framework of the Programme of the Ministry of Foreign Affairs of the Republic of Bulgaria ‘Building of Administrative capacity and democratic institutions’. The training programme was developed and implemented jointly with the University of National and World Economy – Sofia. For two days the young statisticians had the opportunity to get acquainted with the basic concepts in the statistical theory and the organization of the sample statistical surveys, as well as the SPSS statistical data processing programmе, which was a subject of great interest to the participants in the course presented by Assoc. Prof. Dr. Alexander Naidenov. The remaining three days the NSI’s experts presented their experience in the field of statistical surveys. Lyubomira Stoilova, Rasim Rustem, Elena Bakalova, Valentin Chavdarov and Galya Stateva, PhD. presented their experience in the field of short-term statistics, statistics on income and living conditions, macroeconomic statistics and use of alternative data sources (Big Data). The variety of topics and the good training of lecturers created the necessary atmosphere for training and active participation of young statisticians. At the end of the training activities Bogdan Bogdanov, PhD., Deputy President of NSI organized a round table on various topics of interest to young statisticians – the National Statistical System of the Republic of Bulgaria, the trust in official statistics, the opportunities for career development in Statistical offices. The training ended with an evaluation test on acquired knowledge as all participants have done well. The course was closed by Mr. Sergey Tsvetarski, President of NSI, who awarded certificates to all participants, signed by him and by the Rector of the University of National and World Economy - Prof. D.Sc.(Econ.) Statty Stattev. In conclusion, Mr. Sergey Tsvetarski, President of NSI presented his views on future development of European statistics, as well as on the future image of young statisticians, on the need for continuous development of cooperation in our region as well as on the need for constant self-improvement of young statisticians as a guarantee for successful professional development. 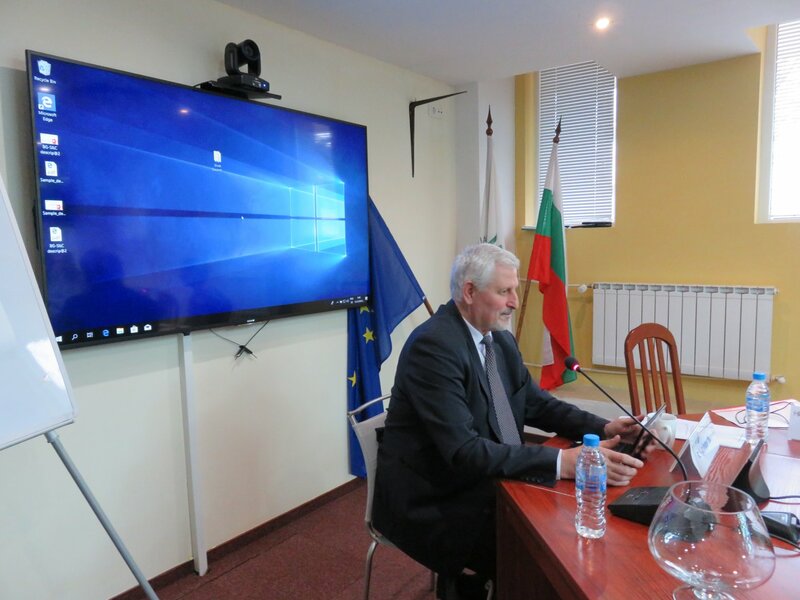 All participants expressed their gratitude for the cordial welcome and interesting lectures as well as for the opportunity to get acquainted with Bulgaria during their visits to Lovech, Veliko Tarnovo and Sofia. They highly appreciated their opportunity to enrich their knowledge and to discover the beauty of Bulgarian nature and important moments of Bulgarian history.